Disclosure: I am a #StonyfieldBlogger and I received yogurt coupons to make these recipes. All opinions and recipes are my own. Packing nutritious lunches can be hard sometimes! 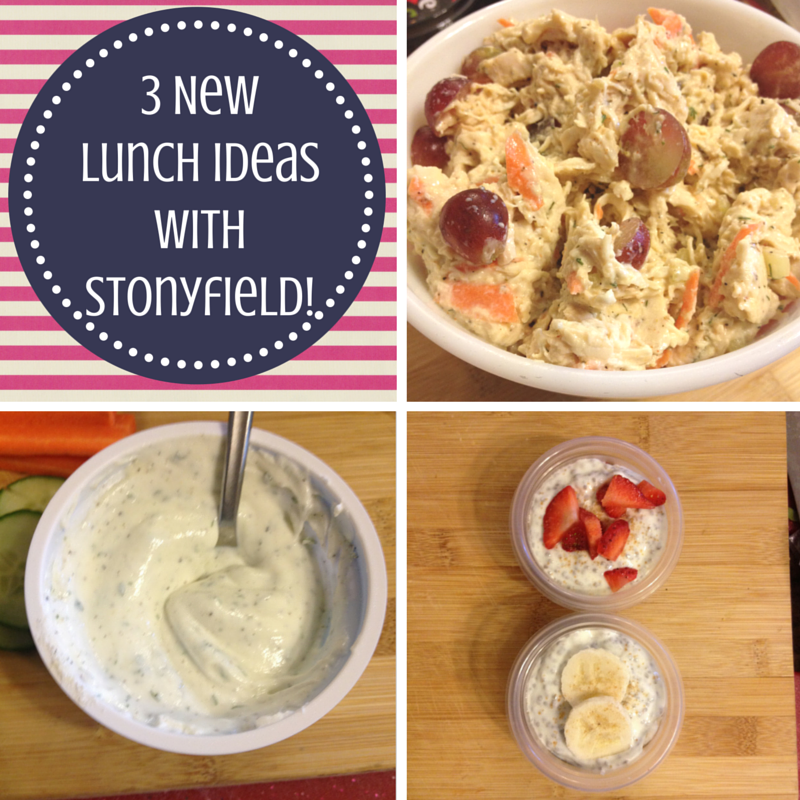 Check out THREE new ideas using Stonyfield yogurt: Greek yogurt ranch for dippers, chia “pudding” cups and Greek yogurt chicken salad! YUM! Like most families, yogurt is a huge staple in our house. We fly through cups, quarts and tubes of it weekly. I thought for back-to-school, it would be fun to think of some NEW ways to pack it in a lunch box! We love wraps for the lunchbox and there are so many different ways you can incorporate veggies and even fruit into them to add a boost of vitamins. Whenever we have leftover chicken, I have to make at least one batch of chicken salad. This one has extra veggies and grapes to make it more filling. If your kiddos don’t go to a nut-free school, feel free to add some almond slivers for crunch. In the bottom of a large bowl, mix everything but chicken. Seasoning with salt and pepper to taste. Refrigerate until needed, up to 2 days. If it dries out, add a bit of mayo. My girls request these yogurt cups daily, so I usually make up at least 3 every night. I love chia seeds because they add fiber, protein and antioxidants to anything you add them to. When you put them in yogurt for an extended period of time, they gel up and almost taste like tapioca. We LOVE banana pudding, so I thought it would be fun to try it with yogurt! You can play around with different fruits or flavors of yogurt–the possibilities are endless! You can find chia seeds in most grocery stores, I’ve found them cheapest at Aldi and Costco. I store them in my freezer. Bananas, Strawberries or whatever fruit you want! 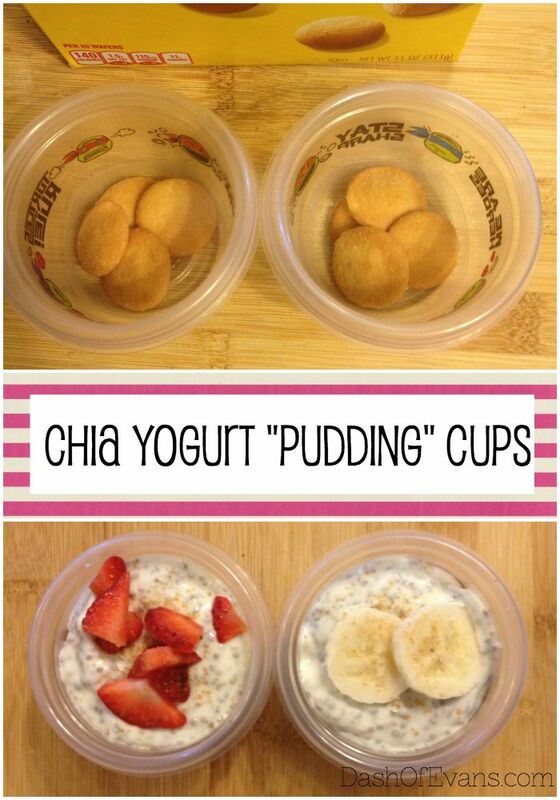 Add chia seeds to yogurt and chill in the fridge for at least 3 hours, up to 2 days. I make a huge batch in a quart container to keep on hand for the week! In the bottom of a small container, add 4 mini wafers. Add sliced fruit on top and spoon chia yogurt on top. I like to sprinkle some extra fruit on top and cinnamon-sugar. Hidden Valley Ranch packets are great to keep on hand for simple seasoning of burgers, chicken and more. I love to make up homemade ranch, but I found the batches to be too large. The 6 ounce cup of Greek yogurt is the perfect size! 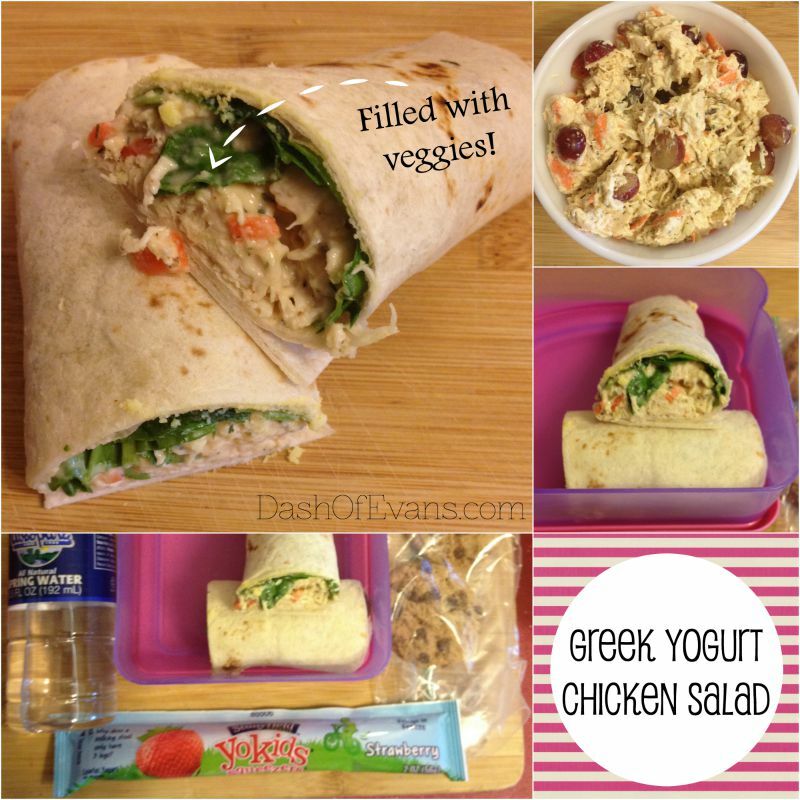 This dip is great for veggies in lunch boxes, wraps and anything you like with ranch! I store it in the fridge for up to 5 days. I store the rest of the packet in a small container by my spices. It’s GREAT on popcorn! Mix everything in the yogurt cup! What fun ways do you serve yogurt? Stay tuned for more lunch box ideas! Cooking with Kids: Video | Plus a Giveaway!New Lunchbox Ideas: Budget Friendly, Nutritious and Easy! Thanks lady!! I think your kiddos would love the chia pudding–we tried it with blueberries last week and it was also tasty! Any fruit can be thrown in. These sound good. I don't eat a ton of yogurt since I have a lactose intolerance of sorts but it does have the "good" bacteria in it (probiotics) so I should eat more :). I am lactose intolerant too, but for some reason yogurt is okay for me! I also can drink half and half, but not milk…it's so weird! Have you tried the Silk yogurt? I love yogurt and fruit! That's my favorite treat at night.